Edition Statement Rev and upd. ed. Africa is forever on our TV screens, but the bad-news stories (famine, genocide, corruption) massively outweigh the good (South Africa). 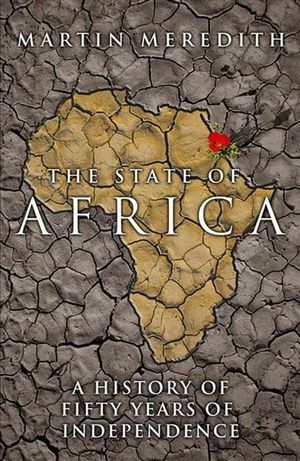 Ever since the process of de-colonialisation began in the mid-1950s, and arguably before, the continent has appeared to be stuck in a process of irreversible decline. Constant war, improper use of natural resources and misappropriation of revenues and aid monies contribute to an impression of a continent beyond hope. How did we get here? What, if anything, is to be done? Fully revised and updated and weaving together the key stories and characters of the last sixty years into a stunningly compelling and coherent narrative, Martin Meredith has produced the definitive history of how European ideas of how to organise 10,000 different ethnic groups has led to what Tony Blair described as the ‘scar on the conscience of the world’. Authoritative, provocative and consistently fascinating, this is the updated edition of the seminal book on one of the most important issues facing the West today.